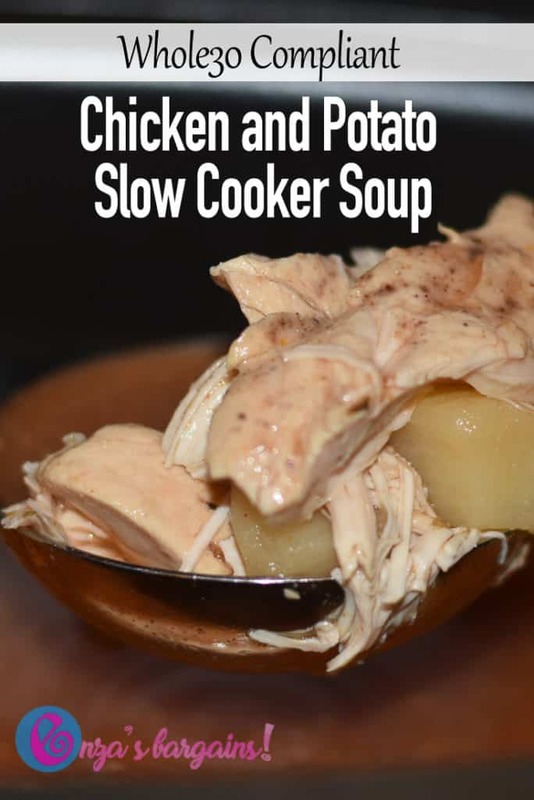 I was looking for a delicious and easy Whole30 Chicken and Potato Soup Recipe and I decided to make my own. We are on day 12 of Whole30 so I had to make sure all my ingredients are compliant to those rules too. I already make a delicious Italian Potato Soup recipe that is sauce based and it is so good. 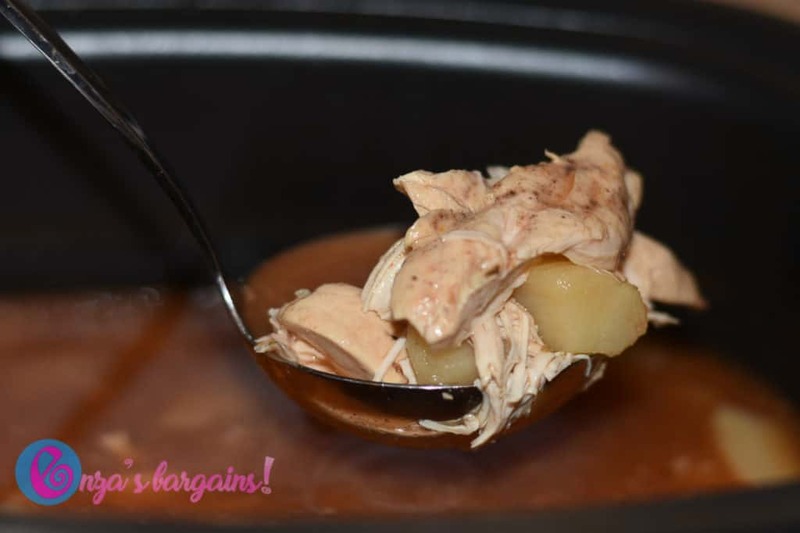 I wanted that taste to the soup but I want chicken in it for protein and I wanted a few less carbs from potatoes. This soup was perfect and easy. 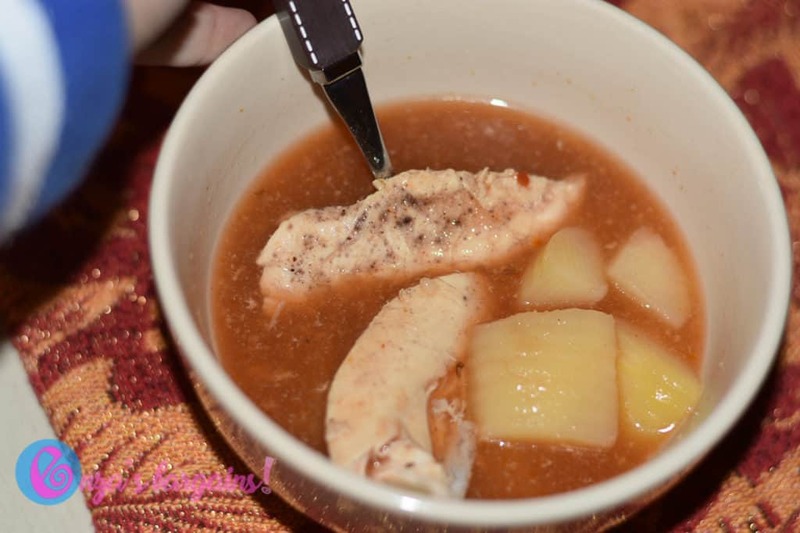 If you are wanting some soup that is healthy and will warm you up in the cold this is definitely the soup that tastes so good. My mouth waters thinking about it! We just started sharing recipes on our Whole30 Pinterest board too! Give it a try and take some pictures and don’t forget to share them with me on our social accounts! Place all the items with chicken at the bottom first. 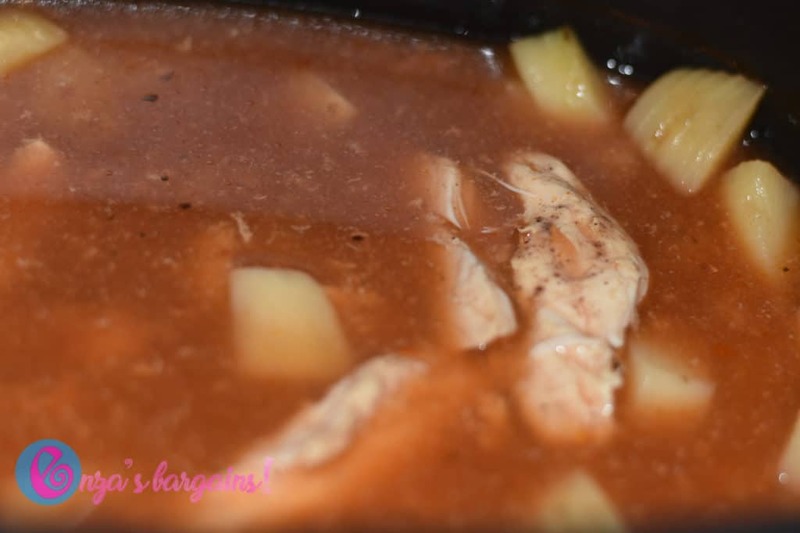 Fill the crockpot so that water covers all of the ingredients in the Slow Cooker. Prior to serving you can great up the chicken or shred it with a fork depending on the texture you like the best. We enjoyed the chicken cut in about one inch pieces with 1-2 tenders per serving. If you are following me on Whole30 this is my second round. I fell off the ship again and thought that January would be a great time to reset! Feel free to check out my last 30 day journal. Also if you are looking for more recipes, be sure to check out my go to breakfast this round which is Whole30 Bacon and Egg cups recipe! Looks great! I’m going to try the chili spice! Thanks! I’m doing my second round of Whole30 this month too! I have a bunch of potatoes and I just bought chicken yesterday that I was wondering what to do with. PERFECT! !